46-year old Janet Jackson is the latest celebrity making headlines with her stunning weight loss. The music star lost 60 pounds over a year ago and has been able to successfully keep the weight off. Jackson has constantly struggled with her weight throughout her life, which is why it is such an accomplishment that she has finally been able to keep the weight off this time around. The biggest reason for Janet Jackson’s weight loss success is the fact that she followed a glycemic-index diet. 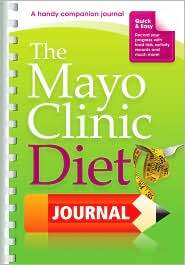 A glycemic-index diet is based on managing blood sugar levels. At her heaviest, Janet was at risk for diabetes and several heart conditions. By focusing her efforts on reducing her sugar intake, Jackson was able to reduce her risk for diabetes while also losing weight in the process. Jackson is not shy about mentioning how she has always been an emotional eater throughout her life. This is why she has always seen fluctuations in her weight. When emotional triggers set her off, Jackson will tend to overindulge on sweets and other fatty foods. Obviously, this is terrible for her weight and health, which is why Jackson focused part of her weight loss efforts on reducing emotional triggers in her life. By focusing on the positives associated with her weight loss progress, Jackson was able to continue to see positive results while she was dieting. As was the case with Janet Jackson, you need to focus on your daily diet when looking to lose weight. If you are at severe risk of diabetes as well, you will want to follow a glycemic-index diet just like Jackson did. This will help lower your blood sugar levels and make it easier for you to lose weight. Avoiding sugary foods and other items that have a lot of carbohydrates will help reduce your blood sugar levels. Planning your meals in advance and buying all of the ingredients you need at one time at the grocery store will make it easier for you to follow this type of strict diet. Many people fail to stick to a healthy diet because they feel it requires too much work to prepare their food. By planning your meals in advance, you will be more likely to stick to your diet plan and continue to eat healthy foods that promote weight loss. Controlling your emotions is another key to success when following the Janet Jackson diet plan. Once Jackson realized emotional triggers were causing her to over eat, she was able to better handle those triggers so she could take the appropriate steps to avoid them. If you notice certain things set you off and cause you to eat comfort foods, you need to do everything in your power to prevent those emotional triggers from setting you off. Starting up a regular exercise program will help you feel good about yourself which can help you avoid those emotional triggers. If you do not want to work out one day, remembering how good you feel after you do exercise should convince you to get in the gym and continue your exercise program, which will help you lose even more weight. Following a detailed diet plan and avoiding any emotional triggers that may cause you to over eat are the secrets to success when trying to lose weight like Janet Jackson.